[S476] Michael, family tree titled "The New England Mathers with a special emphasis on the many families who married into our family", published by Ancestry, wc.rootsweb.ancestry.com, from database named mikemather63 (formerly mikemather), updated Jan 2008, viewed Jan 2008. Boston on October 6, 1635.
it is doubtful that he visited Connecticut again during his year as governor. reach Massachusetts until autumn, after an extraordinarily long trip. offices in Massachusetts, and made frequent journeys between the two colonies. as its head was his mission to England in 1661-1663 to obtain a charter. the British commander at the surrender of New Netherland. occasional grants of land. In 1675, at the outbreak of King Philip's War, he asked for a third time to be relieved of the responsibility of office, but again the colony declined. In September he went to Boston to attend a meeting of the Commissioners of the United Colonies; he spent the winter there, and in March took a cold, which led to his death in April. Winthrop was undoubtedly one of the most engaging New Englanders of his day, and probably the most versatile. Wherever he settled and to whatever he turned his hand, it was with the greatest reluctance that his temporary associates would let him go. He was tolerant and kindly toward some of the same persons who were treated harshly in Massachusetts, such as Samuel Gorton, John Underhill, the Quakers, and Roger Williams. 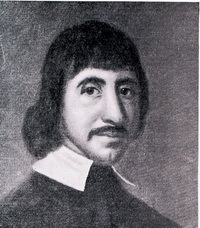 The last named, with whom Winthrop formed a lasting friendship, once wrote of him: "You have always been noted for tendernes toward mens soules....You have been noted for tendernes toward the bodies and infirmities of poor mortalls"
[S1258] John Alden Brett, editor, 1635-1935 Connecticut Yesterday and Today, Hartford, Connecticut: The John Brett Company, 1935, p 8. Thomas was a citizen of London. He was called 'of Bristol'. [S144] Milton Rubicam, "A Winthrop-Bernadotte Pedigree", NEHGR , published Oct 1949, volume 103, page 246pp (Boston, MA: NEHGS) , updated Dec 2006, viewed Mar 2008. Anne lived in Groton Manor, Suffolk, England. [S74] Shirley Wilcoxon, "Winthrop Family Genealogy Forum", listserve message to GenForum from Genealogy.com, http://genforum.genealogy.com/sargent . message dated 3 Feb 1999. Most people find the Anya Seton book "The Winthrop Woman' quite accurate historically. It can be obtained through some of the big online booksellers.,. [S1122] Laurence Goodman, family tree titled "Ancestors of Ernest Frederick Bauer and Serilda Ethel Hopkinson", published by Ancestry.com, wc.rootsweb.ancestry.com, from database named sp0607, updated Dect 2000, viewed Oct 2007. [S317] Wikipedia, On-line database of general knowledge contributed by the public www.en.wikipedia.org, article: Arbella, viewed Jul 2016. [S317] Wikipedia, On-line database of general knowledge contributed by the public www.en.wikipedia.org, article: John Winthrop, viewed Jul 2016. [S751] Richard Damon, family web site titled "The Damon and Taber Family Connections", http://genealogy.damon-family.org, updated Dec 2006, viewed Mar 2008. [S425] Mary, family tree titled "Our Family Tree", published by Ancestry.com, wc.rootsweb.ancestry.com, from database named mkl1949, updated Oct 2007, viewed Nov 2007. [S843] Pam White, family web site titled "Pam's Genealogy", http://www.pamsgenealogy.net/SS/index.htm, updated Jul 2007, viewed Apr 2008. [S403] The Winthrop Society, Web Site, http://www.winthropsociety.com/, viewed Oct 2007. Margaret Tyndal was born c 1591. When Gov. John came on the Arbella she was pregnant and remained in England. 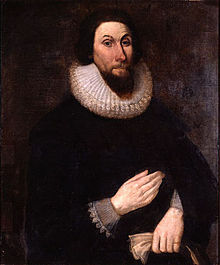 Later her stepson John Winthrop II, an adult, came with her. Margaret and Gov. John were happily married for many years. Margaret's book, "Margaret," is available through InterLibraryLoan and is worth reading. [S1491] Unknown author, From Research Log. [S759] Susan, family tree titled "Susan Rockwood Bradley", published by Ancestry.com, wc.rootsweb.ancestry.com, from database named velvet49, updated May 2013, viewed Nov 2017. [S346] 1870 US Federal Census, Brooklyn, Kings County, New York, digital image Ancestry.com ; National Archives micropublication, Robt Forbes head of household, Ward 1, roll M593_946, page 67A. [S251] Joan Marie Willson King, editor, Collection from Joan Marie Willson King (California: Mar 2010), Genealogical chart. [S345] 1880 US Federal Census, Brooklyn, Kings County, New York, digital image Ancestry.com ; National Archives micropublication, Robert W Forbes head of household, roll 840, enumeration district 002, page 32D. [S344] 1900 US Federal Census, Brooklyn, Kings County, New York, digital image Ancestry.com ; National Archives micropublication, Robert W Forbes head of household, Ward 1, roll 1043, enumeration district 3, page 13A. [S5349] Find A Grave: Grove Street Cemetery, New Haven, Connecticut, Hannah Edwards Forbes, created by Jan Franco, added Nov 2005, memorial number 12241467. He married Charlotte Root Forbes, daughter of William Jehiel Forbes and Charlotte Antoinette Root, on Tuesday, 1 Feb 1848. Samuel and Charlotte lived in North Haven, Connecticut. [S336] Susan Rockwood Bradley, family tree titled "GenCircles: Sue Bradley FamilyTree", published by GenCircles, www.gencircles.com, viewed July 2007. [S326] 1870 US Federal Census, Hamden, New Haven County, Connecticut, digital image Ancestry.com ; National Archives micropublication, Samuel R Downer head of household, roll M593_111, page 249A. [S5349] Find A Grave: Grove Street Cemetery, New Haven, Connecticut, Samuel R Downert, created by Nancy Gilbert, added Mar 2005, memorial number 10546844. She married Edward Forbes, son of William Jehiel Forbes and Charlotte Antoinette Root, on Sunday, 12 Jan 1851. [S308] 1870 US Federal Census, New York City, New York County, New York, digital image Ancestry.com ; National Archives micropublication, Edward Forbes head of household, Ward 12, district 7, roll M593_990, page 556B. [S338] Grove Street Cemetery, database, http://grovestreetcemetery.org, viewed July 2007. He married Eliza DeForest Forbes, daughter of William Jehiel Forbes and Charlotte Antoinette Root, on Monday, 1 Jul 1861. [S660] R Hoosier, family tree titled "Nash/Hancock/Kenderdine/Lemmon/Armitage/Persinger", published by Ancestry.com, wc.rootsweb.ancestry.com, from database named br1, updated Sep 2004, viewed Jul 2009. [S342] 1900 US Federal Census, Manhattan, New York County, New York, digital image Ancestry.com ; National Archives micropublication, Forbes Hawkes head of household, roll 1111, enumeration district 686, page 5A. [S332] Janet Sargent, interview with Linda Sargent Reinfeld. [S1099] US Passport application 1795-1925 Online database www.ancestry.com , Ancestry.com. U.S. Passport Applications, 1795-1925 [database on-line]. Provo, UT, USA: The Generations Network, Inc., 2007. Original data:. George lived in New Haven, Connecticut. His wife Adeline died on 19 Feb 1867 leaving him a widower at age 39. [S316] Massachusetts Vital Records to 1850, Internet database, www.newenglandancestors.org. [S5349] Find A Grave: Grove Street Cemetery, New Haven, Connecticut, George Park Fisher, created by L Evans, added Oct 2014, memorial number 136869722. [S3747] 1870 US Federal Census, New Haven, New Haven County, Connecticut, digital image Ancestry.com ; National Archives micropublication, George Fisher head of household, Ward 1, roll M593_109, page 20B. [S317] Wikipedia, On-line database of general knowledge contributed by the public www.en.wikipedia.org, Article: George W Pepper, viewed Nov 2017. Jehiel Forbes was born on 9 Aug 1768, in New Haven, Connecticut. He was baptized on 5 Oct 1769. Jehiel Forbes married Sarah Woodward, daughter of Stephen Woodward and Elizabeth Morris, on Tuesday, 12 Oct 1830 Sarah was the first cousin of Jehiel's first wife Hulday Bradley. They shared the same grandparents - John and Mary Denison Woodward. His wife Sarah died on 29 Apr 1846 leaving him a widower at age 77. [S459] Margaret Sheffler, family tree titled "BANFILL-BUCK-HAWKINS-PIKE-PERRINE", published by Ancestry.com, wc.rootsweb.ancestry.com, from database named mscheffler, updated May 2008, viewed Jun 2008. [S336] Susan Rockwood Bradley, family tree titled "GenCircles: Sue Bradley FamilyTree", published by GenCircles, www.gencircles.com, Jan 2009. [S1373] 1850 US Federal Census, New Haven, New Haven County, Connecticut, digital image Ancestry.com ; National Archives micropublication, Jchel Forbes head of household, roll M432_47, page 317B. [S31] Elisha S. Loomis, "The Second Wife of Joseph Loomis of Windsor, Conn", NEHGR , published Apr 1938, volume 92 (Boston: 9 Ashburton Place: NEHGS) , 1857 Vol 12. [S497] William Bradley, family tree titled "Conneticut Bradleys", published by Ancestry.com, wc.rootsweb.ancestry.com, from database named williambradley7, updated Jun 2002, viewed Aug 2008. [S5349] Find A Grave: Grove Street Cemetery, New Haven, Connecticut, Jehiel Forbes, created by L Evans, added Jun 2014, memorial number 131311046. [S1000] William Bradley, family tree titled "Bradleys, Hollys and Related Lines", published by Ancestry.com, wc.rootsweb.ancestry.com, from database named williambradley79, updated Aug 2003, viewed Aug 2008. [S759] Susan, family tree titled "Susan Rockwood Bradley", published by Ancestry.com, wc.rootsweb.ancestry.com, from database named velvet49, updated Jul 2010, viewed Jul 2010. 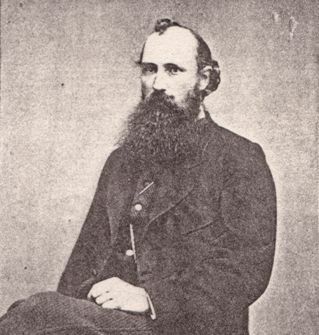 Joel Root was born on 31 Aug 1770, in Southington, Connecticut. Joel Root was a China trader. He brought home rice paper pictures and other treasures. Joel Root died on 12 Jan 1847 at age 76. [S593] Patricia Wardell, family tree titled "Strong", published by Ancestry.com, wc.rootsweb.ancestry.com, from database named :2412861, updated Feb 2003, viewed Dec 2007.